THE ORGANISERS OF a “March Against Fear” planned for tomorrow to mark the Brussels terror attacks said they had cancelled the event after the authorities asked them to do so because of security fears. “We understand this request. The security of our citizens is an absolute priority. We join the authorities in proposing a delay and ask people not to come this Sunday,” the organisers said in a statement. “We invite the citizens tomorrow to not have this manifestation,” Interior Minister Jan Jambon said, speaking in English. 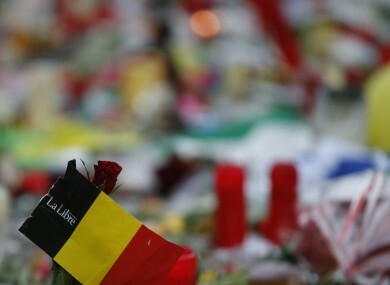 In an earlier statement, the organisers said the march planned for tomorrow was meant to show that Brussels and the country at large refused to be intimidated by terrorism and that everyone stood together. “This week, we, Belgian citizens have been attacked, in how we live, our customs, our rights, our liberty,” they said. The first reaction in such events is to withdraw but on reflection, fear must give way to hope and the defence of our values. Belgium earlier charged a suspect thought to be the fugitive third Brussels airport bomber with terrorist murder. The airport suspect officially identified as Faycal C and named by local media as freelance journalist Faycal Cheffou who was arrested on Thursday night and investigators believe he could be the man pictured in airport surveillance footage alongside two other suicide bombers. The third bomber, wearing a distinctive dark hat and white jacket, has been the subject of a massive manhunt after his device failed to go off in the attack at Zaventem airport. Email “Brussels March Against Fear cancelled amid security concerns”. Feedback on “Brussels March Against Fear cancelled amid security concerns”.